Money is the one thing everyone loves but no one loves to talk about. Here’s a nice little guide to those greenbacks in your pocket right now—what they are, why they exist, and how to make more of them. How many times have you heard people say "money doesn't buy happiness"? But you're also probably aware of the fact that, well … It kinda does. For a lot of people, happiness equates to success, and success equates to having money. While we're not going to call it the end-all-be-all to human existence, for a small piece of paper, it does carry a lot of weight. Regardless of how you feel about money, or people with money, or the pursuit of money, we can all agree that it's important. And like all important things, money can cause a lot of stress too. Lacking the right money know-how will more than likely land you neck-deep in debt, keep you from owning your dream home, and leave you at a loss for how to make and keep those greenbacks. Unfortunately, mishandling money isn't a rare phenomenon. In fact, only 50% of Americans have proper savings, and even fewer properly budget out their expenses for the month. Beyond that, American credit card debt has reached a record high—a red flag that means there's more of us who don't understand money than we'd like to admit. The good news is, you can set yourself up for a prosperous financial future by getting a clearer understanding and stronger grasp on what money is and how to use it. It's easy, and I promise it won't require an economics degree. Anyone can get a handle on the fundamentals by just reading an article like this one. Keep reading to learn what money is and how it works, how to budget it, make more of it, and how to invest and save smartly! You've had it and lost it, made it and spent it, but what is money? Economic theorists write whole books on the subject, but we're going to try and cut through all the theory and give you the basics that most people agree on and that you need to know. Money can be described in as many ways as it can be used, but for the most part, people agree that it acts as a store of value and a medium of exchange. Without any money, we would have to resort to bartering. Long before the age of modern consumerism, people still needed acquire certain things to get by. You need water and food to live, a house and bed to sleep in, maybe some tools to work, etc. Some of that stuff you might be able to get yourself, like if you're a carpenter you can make a some nice furniture, like chairs and tables, for yourself. But if you spend all that time building, where is your food coming from? Your neighbor is a farmer and has a ton of food, but he's not a charity service—it will cost you to get food from him. But what will it cost exactly, if there's no money? Well, you could make him a piece of furniture, but he already has all the furniture he needs and isn't planning on getting a new one anytime soon. He does need a pair of shoes though, so now you're going to have to find a cobbler who wants, perhaps, a chair, so you can build one in exchange for a pair of shoes to give to your farmer neighbor to exchange for some food. But what if the only cobbler in town wants a haircut instead of a chair?!? Things can get pretty complicated real quick, as you can see. Money solves all of these issues! Money is a store of value, meaning it has purchasing power. How much value or purchasing power it has is determined by the amount of goods and services you can exchange it for. Without money, you'd have to carry around whatever it is you were bartering all day long until you could make a trade! With money, you can determine, say, the value of the house you built as a carpenter, and accept money as payment for building it. You can then convert the value of the house into money so you can exchange it for the things you need to get by. Money "stores" the value of the house for you and allows you to purchase something of equal or lesser value than it later. Money is a medium of exchange. Bartering is no longer the predominant way goods and services are exchanged. Buying and selling is, and that's done with money. Money acts as a sort of middleman so that the thing you sold for $100 and the thing you bought for $100 doesn't have to be directly exchanged. Money acts a medium for those exchanges so that the farmer doesn't have to lug around his cattle and the doctor can be called upon by you even if he doesn't require the services of a carpenter. Money isn't as old as time itself, but it is old. That said, some of the earliest forms of money might seem a bit strange to us today. Originally, natural objects acted as money. This included things like cowry shells or cocoa beans in some cultures. In fact, cowry shells have the longest history of serving as a currency ever—it's where the term "shell out" comes from! Likewise, cattle also tended to be a universally agreed upon standard and usually included not just cows but most forms of livestock. Considering money came about from the needs of farming societies, this isn't too surprising. Cultures like the Yap culture of Micronesia would use huge, heavy stones called rai. Since they were too heavy to carry, they would be kept in public places and act as markers of an agreement on an exchange. I guess you could say they literally had tons of money! Coins came out around 600 BC, and paper money appeared in the 7thcentury. The earliest examples we have of coinage comes from Lydia, which would stamp small gold and silver discs with the imperial emblem. Around this time, China was also using coins in the form of large, blade-shaped pieces of metal with holes at the base. These were strung on a string through the holes so they could be carried around easily. Coins with holes were used in China up until the 19th century! The Roman empire was also a notable user of coin as currency, but when the empire fell, Europeans started to distrust the value of the coin and returned to a feudal bartering economy. Paper money appeared as bank notes in the 7th century in China. Banks would hold on to a depositor's gold or silver and issue a receipt for it as proof of ownership. These receipts could be used to retrieve the amount deposited and eventually became widely used as money. Money was originally representative of a certain amount of gold. After a while, precious metals became what was used to make purchases, and the most agreed upon precious metals were gold and silver. Around the globe, currency became backed by gold, which we would come to call "the gold standard." What this means is a bank note can actually be given to a bank in order to retrieve gold, and the amount of money that existed had to be tied to the amount of gold a country had. That also means the value of the dollar is tied to the value of gold, for better or for worse. And so in 1971, for fear of inflation, President Nixon moved America off the gold standard. Most countries now use what's calledfiat money. "Fiat" comes from the Latin meaning "it shall be," because that is what the money is: a promise. There is no physical commodity backing most modern money, so its value is based solely on the people's faith in the credit it represents, and the integrity of the institution or government that issues such money. While this makes money risky due to hyperinflation if people no longer consider it valuable, it has paved the way to electronic currency, like Bitcoin and other blockchain technology-based currencies, and all of its conveniences. If you're not a cryptocurrency enthusiast though, don't fret—debit cards, checks, cashier checks, and money orders, are all still reliable forms of currency transaction. If you've ever had even a cent to your name, you've participated in the financial system of borrowing and lending to some degree. It's important to understand just how borrowing and lending are related to the money you carry in your wallet, and how the practices can pad it flush. If you stash money anywhere other than your mattress, you're lending it. If you invest it in stocks, bonds, Bitcoin or other blockchain technology, or even deposit it in a bank, that money is being lent. Even though a primary purpose of depositing money in a bank is so that it's kept safe, that money also becomes the bank's under the agreement that you can retrieve it whenever you'd like. The bank can use the money you and everyone else has deposited to turn around and create loans for people looking to be borrowers. In the case of stocks, you are lending out your money under the agreement that if the company does well, they will share some of the profits with you later, and if they don't, you may lose your investment. As for bonds, you are lending money under the agreement that the government you bought the bonds from will pay you back with interest later. When you lend money—say with a check, cashier check, or money order—unless it's to a friend, you're hoping to increase the money you lent. And that's done through interest, which builds up over time. If you take out a loan, mortgage, or any line of credit, you are borrowing. When you're borrowing money, you're expected to pay it back plus the interest attached to that loan. Irresponsible borrowing can land you in debt, and depending on the interest rate on the money owed, it may be difficult to get out. Likewise, lenders also need to be careful about who they lend to, so as not to encourage irresponsible spending among those who can't afford to earn and pay the money back. Money is created when banks create loans. The majority of money minted by the government is to replace older money, and those paper notes and coins only account for 8% of all money. But the amount of money in the world has increased, so how is new money made? The answer might be a little surprising, but private banks can technically create new money! The amount of money a bank itself has depends on the amount of money deposited with it, which technically means a bank cannot create a loan, say through a peer-to-peer network, if it hasn't been lent the money itself. In reality, with the advent of electronic money, it can still issue the loan, creating a bank deposit. This new loan and the interest it accrues is technically new money, and it doesn't need to be backed by the money the bank actually has. This way, lending and borrowing cause more money to appear in the economy. Ever hear about how much gas cost when grandpa was young? Inflation happened, and it caused prices to rise. Similarly, deflation is when prices begin to decrease. Exchange rates can also affect currency value abroad. Inflation is when dollar purchasing power goes down and prices go up. We see prices rise every year and for different reasons, but whenever that happens, it's inflation at work—and that's not always a bad thing for economies. 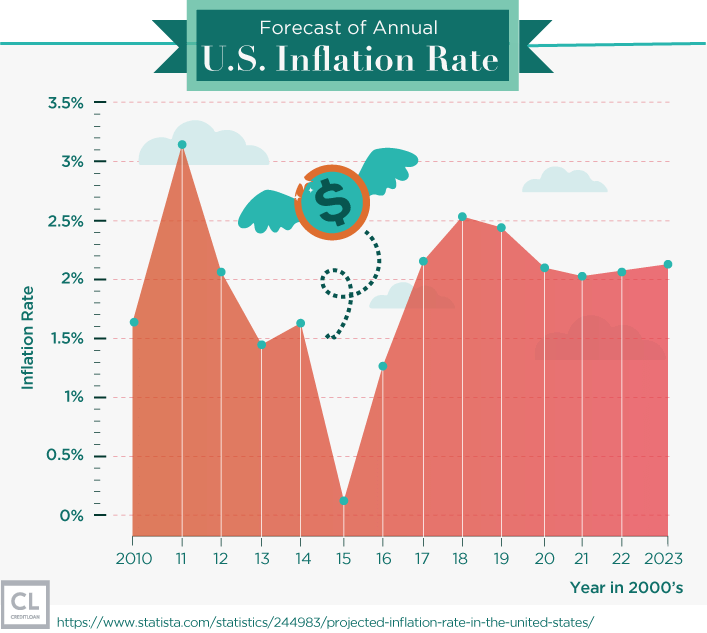 Inflation can happen a few different ways, but it usually is due to supply and demand. Let's say Ron and Tim both want a burger, but the price isn't set. If Ron and Tim both have a lot of money, they'll start bidding each other out for a bite until the price is driven up, all due to them both having the cash to burn. Now imagine this across an entire country and with all sellable goods, that's called inflation. The other way this could happen is if cows, buns, and stoves all became scarce and expensive. That would make the cost of the final product go up as well. These two factors can lead to inflation, but so long as inflation is controlled and your income rises along with it, you should be fine. Deflation is when dollar purchasing power goes up because prices go down. That sounds awesome: Video games are less so you can buy more of them, right? Unfortunately, that's only true in the very short term. If prices go down for reasons other than cost-savings on materials, jobs have to pay employees less than they used to. This may mean a few employees getting let go, and they're going to be buying less. If they're buying less, other people are going to end up losing their jobs and so on. Deflation is, in many ways, worse for an economy than inflation, as nice as low prices may seem to be on the surface. And if either of these happens to an insane extent over a short period of time, it's called hyperinflation or hyper-deflation. Exchange rates tell you the value of one currency in terms of another. In other words, how much is your dollar worth in another country, and vice-versa. For example, one euro is worth more than one dollar, and in the U.S. it has stronger purchasing power. What this means is that if you're paid in euros but living in the U.S., your salary is taking you pretty far, but if you are in the opposite situation, your money isn't buying you nearly as much. If one dollar is worth .75 euros, and you go to buy a 12 euro hat, it's costing you $16. If the dollar is worth 1.25 euros, it's costing you 9.6 euros for that same hat. When a dollar is worth more, we call it "strong," and when it's less, it's "weak." There are many ways to become rich, and the ones that happen overnight can rarely be counted on. Some are lucky enough to be born into it—but they probably aren't the ones reading this article! While some people's lives have had a lot of obstacles keeping them from making as much money as they'd like, good spending and earning habits might get you to where you want to be financially—and that's important! I started a business and worked relentlessly to build it to a level of success where I could sell it, but luck only played a small part to the success. There is no substitute for putting in the time and effort, even when it comes to saving money and being frugal. If you are in more debt than you want to believe, or if you don't have nearly as much money as you'd like, lying to yourself or pretending the problem isn't there, isn't going to change anything. In fact, it might make matters worse. You've already come so far just getting here and reading this article, which means you're looking to get informed. 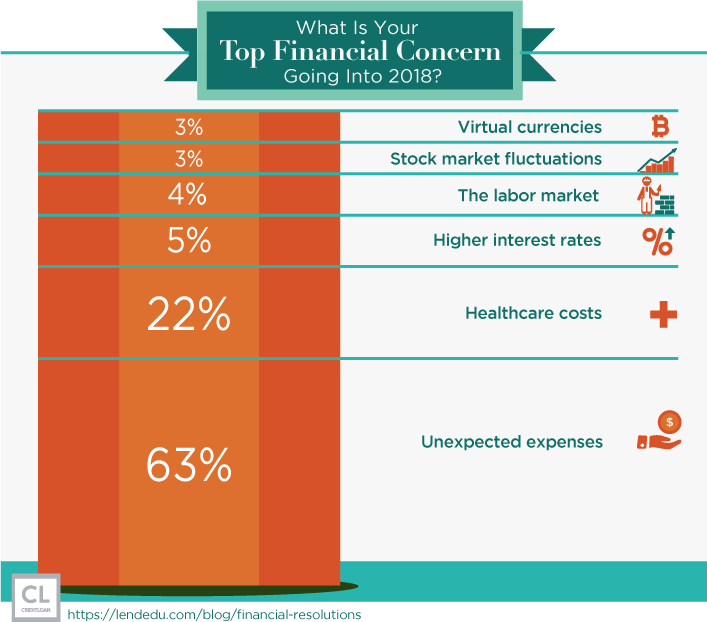 Well, the most important information you can have is the truth about your financial situation. And don't be afraid: nothing is ever set in stone, no matter how rough. Spend it all on ice cream? Invest it and make money off returns? We think the third option is the winner here. Investing in stocks allows you to see the profit when you sell your share. That means if the stock does well, you do too, and if not, you eat that loss as well. This makes stocks risky, but they don't have to be. Staying educated on what you trade can make you a lot of money. That said, unless you're on Wall Street, the best stocks are the ones you set up, buy shares of, and leave alone. Any short-term losses tend to level out if you've picked your investments well, and eventually you end up with money made. 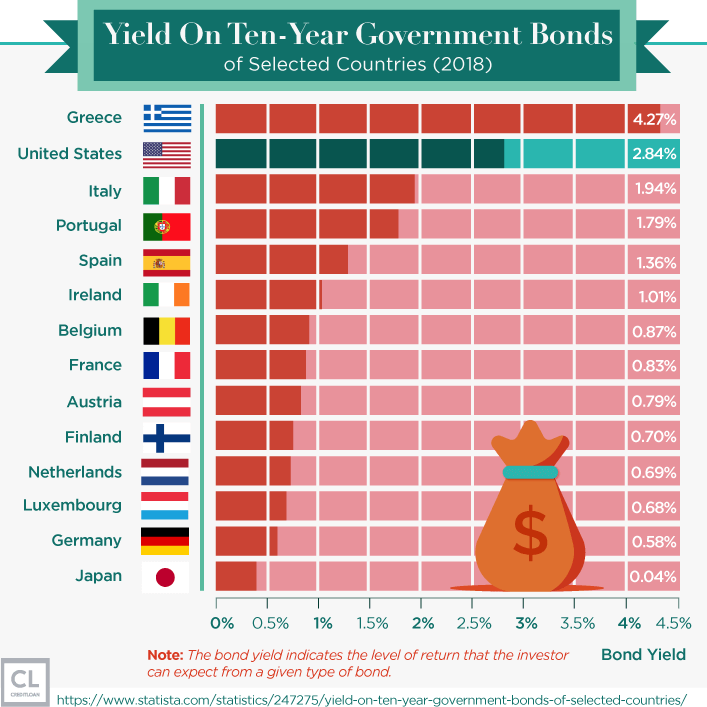 Buying bonds is another option, as long as you think the country is stable.If governments need to borrow some money, they'll sell bonds to investors. The investors then lend their money to Uncle Sam with the promise that they'll get paid back with interest, in the future. The government won't be making payments over time, but rather all at once, and that can make a bond a very nice investment for some people who prefer big payoffs. And don't worry if you get impatient—if you need the money, you can sell them to another investor! Invest your money in a retirement account, such as a Roth IRA or a 401(k). These investments won't be available until way down the line, but once you have access to that money, it'll have grown considerably due to interest! Investing allows you to stimulate markets while increasing your own profits. Any money lent will build interest over time, and that interest translates into more money for you in the future. Being on the lending end of a peer-to-peer network loan can be a nice way to make money. Also, if you feel investing is tricky, you can always hire a financial advisor or a stockbroker to point you in the right direction, depending on the kind of investments you were hoping to make. This will allow those new to lending to do so with fewer mistakes. A penny saved is a penny earned, and if you're hoping to save more, you'll probably want to consider budgeting more. Budgeting is any planning that makes sure you're spending less than you're making, and in the world of money, that means a lot. The goal of budgeting is to eliminate any surprises your wallet isn't ready for in the upcoming months. Sometimes expenses can creep up on us if they're not planned for, and that leaves us unaware of how much money we really have. Most of the country, and in fact most of the world, use credit cards (and/or debit cards), while debt and repayment have been a feature of society in general for millennia. Credit reports are a recorded history of your practices with credit. Every time you use credit and pay back what's owed, it's recorded in a collective history. That history is then viewed in the future by lenders who want to ensure you are good with loaned money. Want to take out a new credit card? In any of these scenarios, the person lending the money is going to require a bit more than just a firm handshake and a smile to assure them you can pay whatever you borrow. So, before offering you a dime, they'll want to get a good look at that report. Credit scores are typically 350–850 and reflect your credit reports. If you usually max out your cards, never pay back balances, and choose to ignore late fees, your credit report will reflect that. And if your credit history is poor, that score will be too. Credit scores on the lower end are called subprime, whereas excellent scores are called superprime. "Excellent" credit scores tend to start around 750, which is all a borrower really needs to get the best possible treatment from lenders in terms of loan size, interest rates, and the like. By the way, in case you need to quickly bump up that credit score of yours to improve your chances of getting approved for a bigger loan or better rates, taking out a smaller personal loan just might help. Good credit is built with good habits when using credit. Some key things to remember when trying to build that credit score up is to monitor your report closely and keep it free from errors and mistakes. Credit reports can have plenty of errors, and when that happens, it's up to you to catch them. While you can pay money for a credit monitoring service, this isn't always necessary. Instead, you can opt to save money by taking a look yourself. By law, you're allowed to see your credit report for free from each of the credit bureaus (that record and analyze your credit history) once a year. If anything is wrong, you can write to the bureaus telling them to fix the issue. Beyond that, keeping up with payments and utilizing no more than 20–25% of your total line of credit is the best way to make sure your report shines the way you want it to. Good credit can help further you financially. Sometimes you have to borrow money to make money—a harsh but true reality about finances. But that's okay because if you put a loan to good use, you should have made more than enough to pay back any interest. An example of this would be a loan taken out to start a business. It's hard to start an entire restaurant on your life's savings unless you've been the owner of a successful restaurant your whole life, but then you wouldn't need that loan! A loan will allow you to get all the necessary manpower, equipment, and supplies to get your business started, and you'll pay back that loan when you start making money. If your credit's good, not only will you get access to larger loans, but you'll pay less for it in interest later on. What this means is good credit can actually save you money, and saving you money is making you money. As important as it is to watch your hard-earned cash carefully, having good credit can be just as important. If you want to get paid, you're going to have to work at some point in your life. Working smart and being smart about work can make you more money, and in the future, that'll allow you to work less. Diversifying your work allows you to stay employed and making money. Jobs are great while you have them, but even the most stable job can fall out from under you. When I was just starting out after college, I secured a great job working 40 hours a week at a place I thought I might spend the next 5–10 years. The only problem with my 5-10 year plan was budget cuts in the business's plan. Luckily, as much as I liked the job, I was able to moonlight starting my business which allowed me to keep earning money and have benefits, while I built my own form of job security. Passive income is income made while not really "working." Return on almost all investments is what's called "passive income." For those new to the workforce, after a few paychecks, you should start seeking ways to make passive income. The great thing about having passive income is that you can make it without doing much, and that means you have more time—to spend on the things you love to do, or to get more work done and make more money. Then that money can go back into making you more passive income—it's a cycle that works a lot in your favor. Making money often feels a lot harder than spending it. If you work for $14 an hour full-time, that's $560 a week. That's the same price as that TV you wanted. In minutes, you can complete a transaction that blows through your entire week's savings, it's just that easy. But if you're smart about budgeting, saving money, and investing it, you can keep yourself from losing too much of it as well. Saving money is the key to increasing your earnings, but knowing just how to save money is an important skill in itself. We all know keeping cash under your mattress is not a solid idea—but how much better off is it sitting in a bank account? While it's certainly safer, keeping money in a bank account is still not doing much to increase your wealth, and that doesn't make much sense. If you can make money by doing nothing, why wouldn't you? It's true, emergency savings are important and having them ready for use when that fateful day arrives is important, but anything else is just lying around. Rather than letting money sit, put it to work like you do! All sitting cash is burning up due to inflation. Let's say you got $30 dollars and threw it right under the mattress. At that time, $30 would have gotten you a really nice steak dinner. Then, ten years pass and steak dinners have gotten even pricier, but you still only have those $30. All of a sudden, your money isn't worth what it used to be! Let's say you make $1,000 a week, while monthly rent is $600, groceries are $300, and utilities are $100. That should leave you with $3,000 extra that month, but when the month-end rolls in, you notice you only have $1,000. As we said before, it's easy to think you have more money than you do, which typically leaves you scratching your head on where the rest of your money's gone off to. This is why budgeting can be such an important tool when it comes to stopping money from leaking out of your savings. Track your expenses as you make them. Also, check bank statements and subscription lists. By staying on top of your money, you'll notice when it starts disappearing here and there. A common culprit behind a missing $10 or $20 monthly is subscription services. Due to the rise of the internet, we have so many these days that it's hard to remember which ones we actually signed up for and wanted to keep. Checking your bank statements and transaction history will show you if there are any subscriptions you forgot to cancel last year. Maybe you're still subscribed to Jim's Video Streaming when you already upgraded to Tom's Movies on Demand a month ago! Refinancing loans and readjusting your insurance can save you a lot of money. If you have a much better credit score than when you first took out that loan or opened that insurance policy, it might be time to get it re-evaluated. Things like loans ought to keep up with you as much as you keep up with them. By refinancing, you might secure a lower interest rate, which may translate to over a few hundred a month in savings depending on the size of the loan. The same goes for insurance. It's possible that your previously lower credit score netted you a higher premium on your auto insurance than you wanted to pay. After a year of solid credit monitoring and good payment practices, it's time to get that premium $50 lower. For our 20-something readers, tax reports might not seem too difficult. Check a few boxes, no dependents to declare, sign some dotted lines and you're done. When you hit 30, start getting hitched, own some valuable assets, have kids—that's when taxes become more complicated. Hiring an accountant might help you save money on your taxes. Mistakes when filling out those tax forms can cost you more money than you think, but a pro might be able to help you save money by doing the job right. Make sure any professional you bring in isn't costing more than you'd be saving on your taxes. Of course, knowing more about your taxes doesn't hurt either, but sometimes it's nice to have an extra pair of eyes to double or triple check things in your favor. Have you ever met someone who just loved having hammers around, just to have hammers around? No nails, no wood, just hammers. No? Neither have I, and that's because tools are best appreciated when they're doing what they're supposed to be doing. Money is the same way, it makes a better impact when you know how you use it. The question then becomes, how do you spend your paycheck? Sometimes it's about spending cash in a way that fulfills you or brings you joy. Education isn't free, and money can help you get the lessons you want. Whether it's your college professor or your piano teacher, all educators need to earn a living, and students need to pay for tuition. While we can all agree education costs a little too much these days, we can also agree that picking up a new skill is just like any other investment—it takes time and money but is a worthwhile use of both. It's worth pointing out that depending on the type of education, this could be another example of how money can make more money. By affording lessons in, say, another language or a trade skill, you begin to build your resume further and this could help secure an opportunity to earn more money from a job that makes use of your new skills. Charities need money to operate, maybe your dollar can help. If there's a cause you're passionate about and want to advance in society, you can find a charity that champions that cause and help them out financially. If you really care about environmental awareness, donating to a charity that pushes for a greener future is a wonderful way to put your money to work creating social good that you believe in. In turn, not only do you make the world around you better, you get to feel good about it too! Nothing in life is guaranteed, and that includes our own health and safety. And while you should never think money can make you immune to the dangers of the world, it's equally well known that medical bills and raising kids cost money. Having a healthy savings account can help during emergencies. Unfortunately, healthcare isn't cheap; even with insurance, certain accidents can literally cost an arm and a leg. With solid savings to fall back on, money might be the difference between getting the care and treatment you need or having to settle for the cheapest option, or worse, none at all. Money can help jump-start your children's future. The happiest time of my life was when my kids were born—it truly was an indescribable feeling. Magical even. But suddenly, I had two more lives to consider and a future to secure for them. Now, if you don't have any kids at the moment, you're probably not thinking about these things or the security money can buy for your children, but trust me, a family can get expensive. Saving up money now could be the key factor that allows your daughter to become a doctor, or your son to study astrophysics. Like we said before, education costs money, and with kids, there are lots of other costs as well. 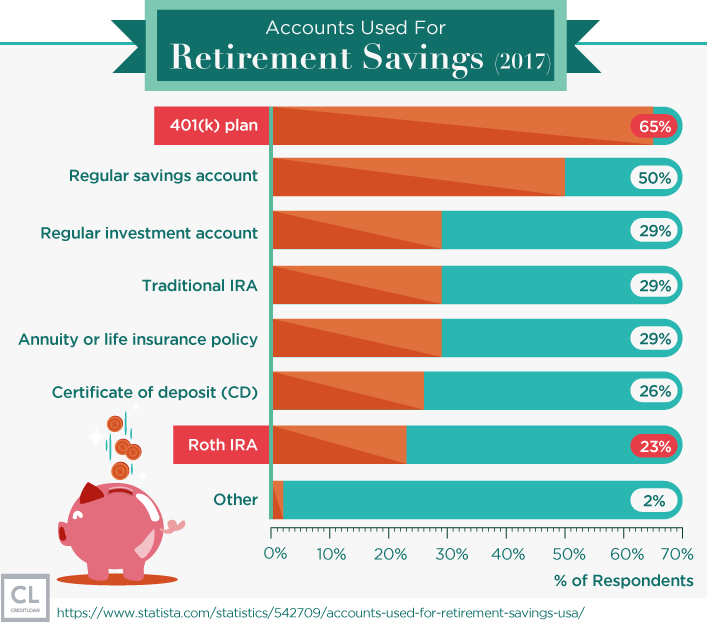 A bulky savings account can not only offer them protection if anything should happen, it can open doors for them as they grow to play more active roles as members of society. Financial security can offer a general safety net. Life is full of accidents—some put you in the hospital, your house underground, your car in the junkyard, or you out of a job. Having money to help you out when those times arise is an important reason to save when you can. Having your finances in order before bad luck gets the better of you will help you deal with misfortune if and when it comes knocking at your door. In some ways, it can even help keep other misfortunes at bay—for example, allowing you to buy a better-made house and a safer car. 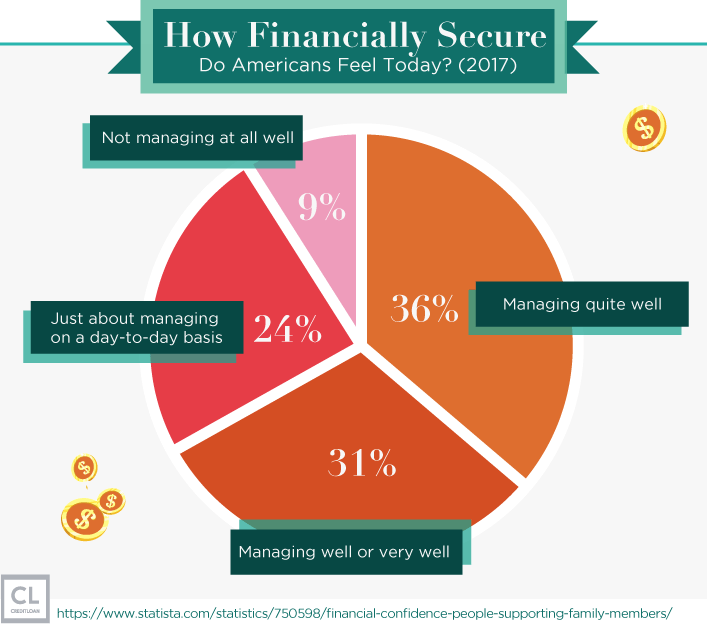 We all know money is important, but some of us are a bit more adept when it comes to managing our finances than others. The thing is, it doesn't have to be this way. Since 1998, CreditLoan.com has been helping to educate consumers on financial issues while providing the tools and solutions they need to effectively manage these issues. Becoming educated about what money is and how you can use it is the key to a better financial future. As a store of value that acts as a medium of exchange so that goods can be purchased, money, in many ways, makes the world go 'round. Because almost everything will grind to a halt without it. We sometimes take it for granted, but the invention of money really is a huge convenience, and a boon for mankind. More than anything, money can make a stable and healthy future more certain. Medical bills and families cost money, so it just doesn't hurt to have it around. Hopefully, a clearer understanding of what money is and how it works will allow you to build a more comfortable future and achieve more ambitious goals. Maybe something about money we forgot to mention or some facts we got wrong?